Fiction – paperback; Penguin; 212 pages; 2000. 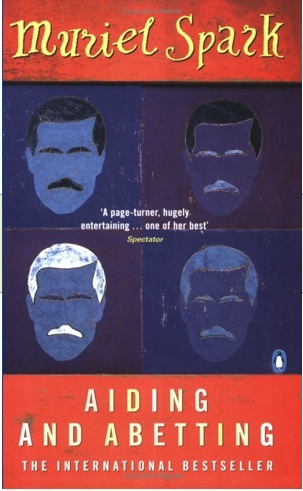 Truth is often stranger than fiction, and no more so than in the case of Lord Lucan, an English aristocrat, who has been missing since the night of November 7, 1974. On this night the nanny looking after Lucan’s three children was brutally murdered and his wife suffered severe head wounds in the attack. Lucan, who had a gambling problem and had racked up considerable debts, was suspected of the crime. Wanted on charges of murder and attempted murder, he was never brought to court, and despite being declared officially dead in 1999, numerous “sightings” of him still occur around the world. The late Muriel Spark, one of Britain’s most acclaimed and prolific writers, takes this real life story, one that has fascinated generations of Brits, and turns it on its head. She has Lucan still alive, on the run from the law but supported by a closeted network of aristocratic friends. When he presents himself for treatment at the consulting rooms of a Paris-based psychiatrist, Dr Hildegard Wolf is immediately intrigued — and not just because of Lucan’s mysterious past. It turns out she is already treating another man, who also claims to be Lord Lucan. And so she must try to unravel which Lucan — if any — is the real seventh Earl, and then she must determine what threat each poses to her new life, far from the one in which she was a fake stigmatic defrauding people of money for her own gain. What follows is a fun, high-tension, hilarious romp that spans Paris, London and the Highlands of Scotland as Lucan and Dr Wolf both go on the run. Without wishing to give too much of the remaining plot away, I can safely say the ending is a satisfyingly wicked one. If you like this book, you might also like The Butterfly Man by Heather Rose, which has Lord Lucan reinvent himself as a Scottish expat living in Tasmania. You can find out more about the real life Lord Lucan story on the Channel 4 website. I have several of Sparks’ books (not this one, alas), and I’m always afraid to delve in, for some reason. But, this gives me hope. Thanks for the post. The truth is more incredible than the fiction. Thanks for the background on the case. I hadn’t heard about this case. The novel sounds great also. I used to have a 4 star system for rating books. but since I love literature, can see the good in nearly every book, and take a lot of care in selecting the books I read, I rarely gave a book only one star. Then a couple of years ago, I read a few really outstanding novels in a row and went to a 5 star system to reward the extra fine novels. However things haven’t changed much, because now I have difficulty giving a book a score less than 3 stars. So I went from a 2-to-4 star rating system to a 3-to-5 star rating system. Grade inflation. Muriel Spark’s books always got 4 stars for her novels in my old system; now her books usually get 5 stars. My all-time favorite Muriel Spark novel is “Girls of Slender Means”. An author who doesn’t get the credit she deserves is Angela Huth who wrote a somewhat similar book, “Land Girls”, which is another favorite of mine. Tony, thanks for explaining the intricacies of your rating systems 😉 I know what you mean though — it can be difficult working out how many stars to award. I often feel I can make rather rash judgements in the immediate afterglow of a book — leave it a few weeks and if I still remember the story then the book immediately gets an upgrade.